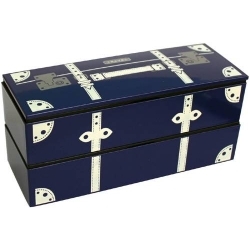 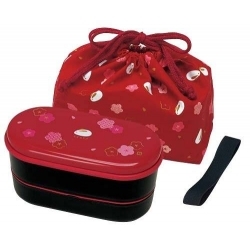 This is a 2-tier Men Bento lunch Box Set imported from Japan. 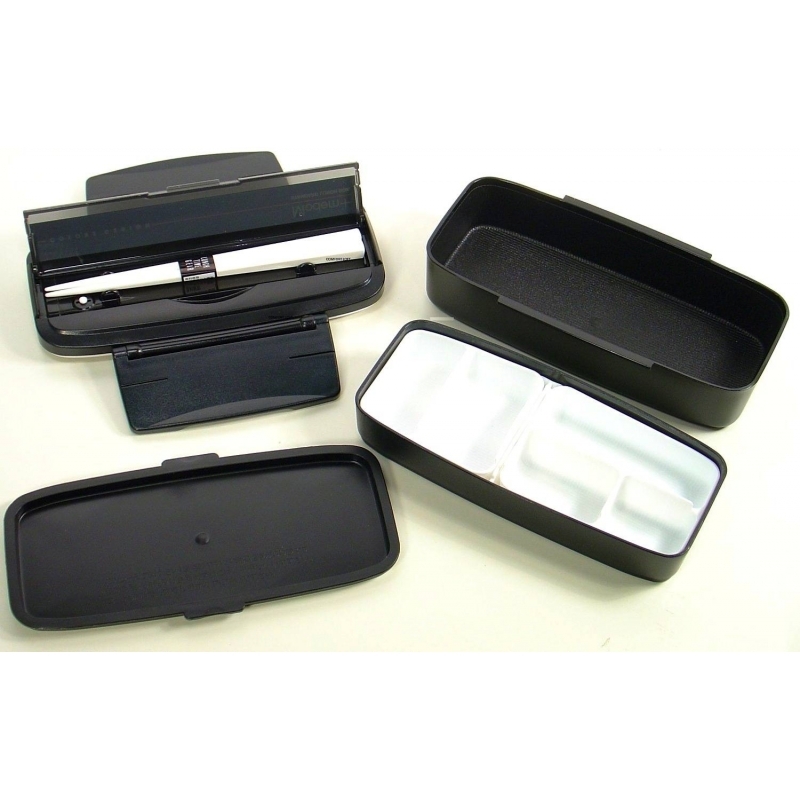 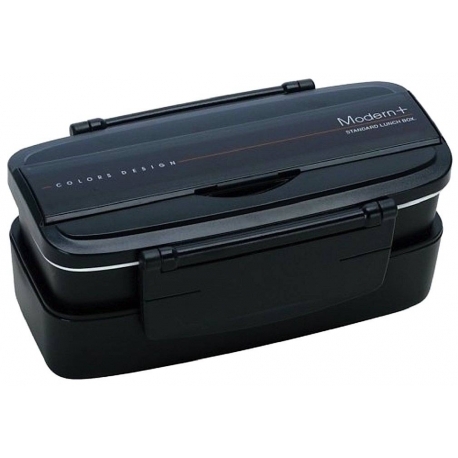 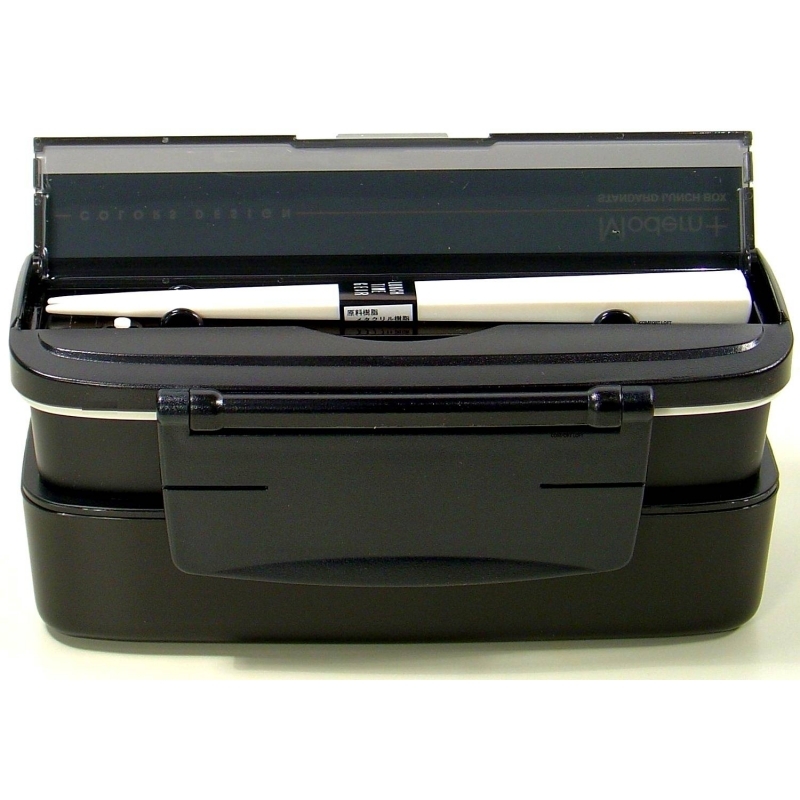 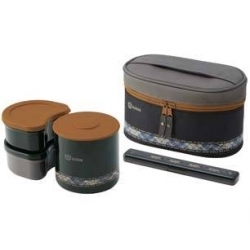 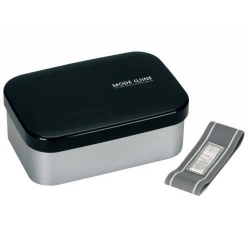 (2 food compartments and 1 compartment for chopsticks) The bento box set is well designed for healthy capacity og 900ml and is in black color. 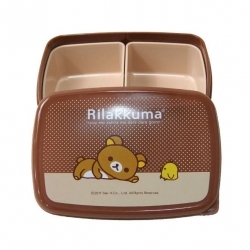 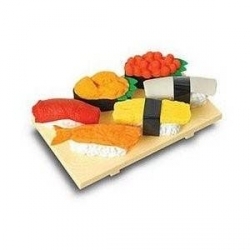 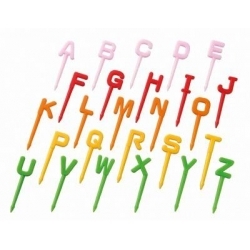 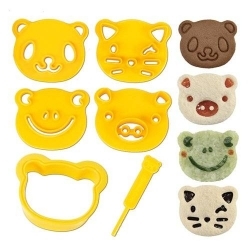 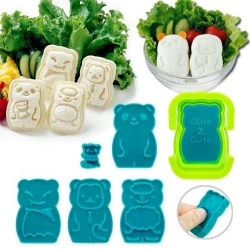 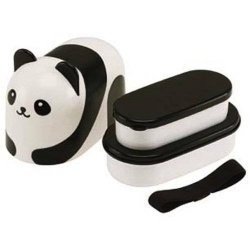 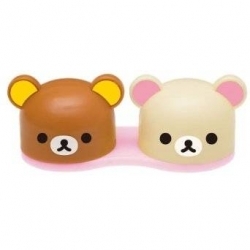 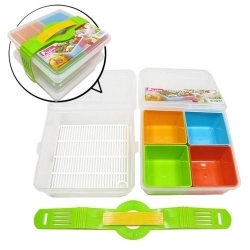 It also comes with the bento divider cups to create sections of your food. 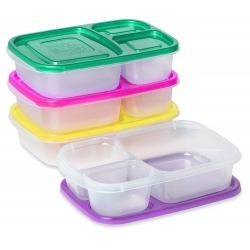 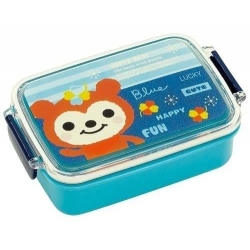 The bento box is microwave safe with the lids off. 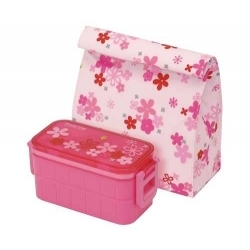 The bento lunch box holds 900ml. 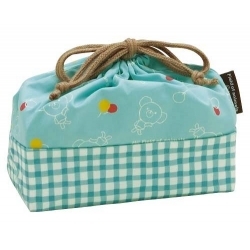 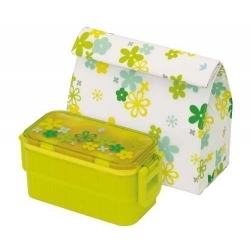 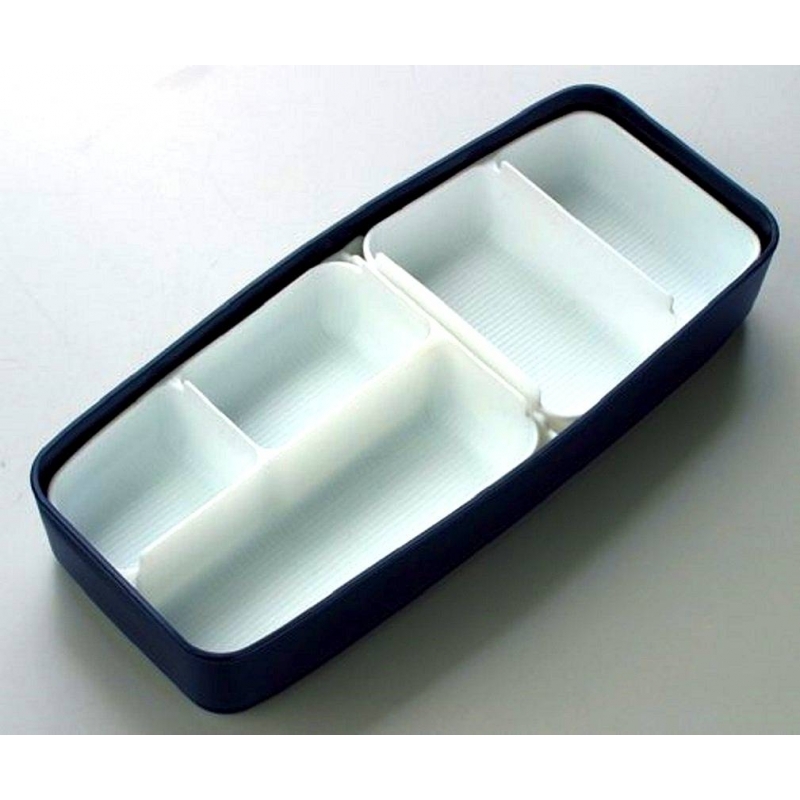 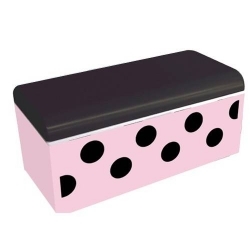 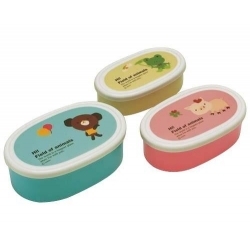 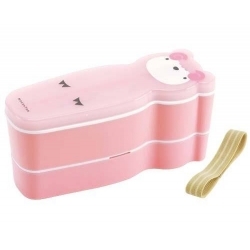 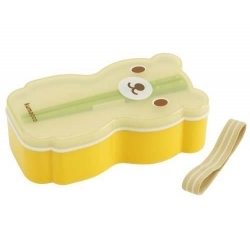 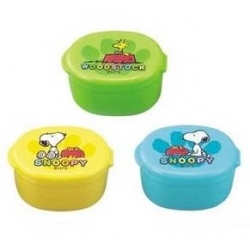 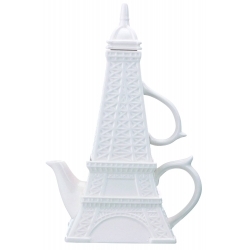 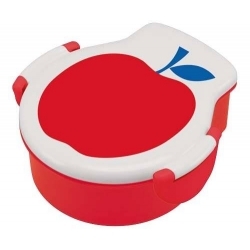 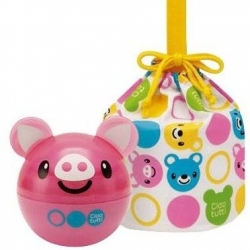 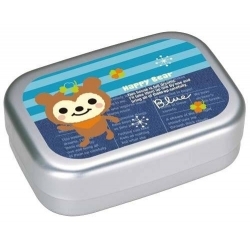 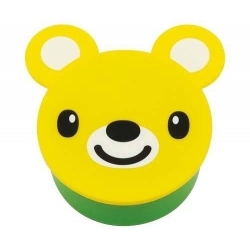 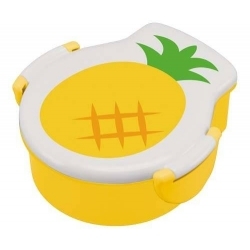 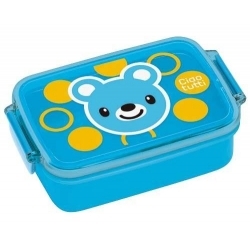 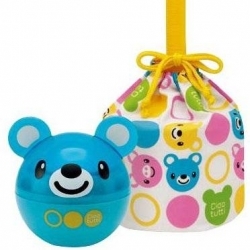 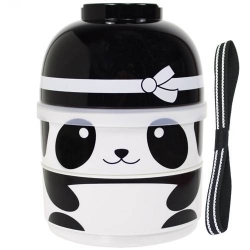 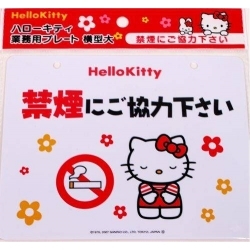 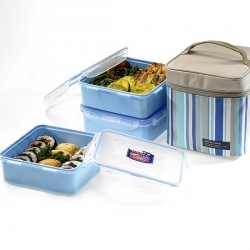 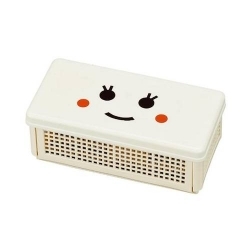 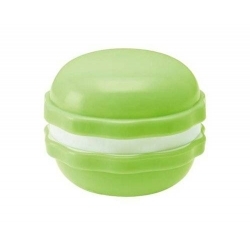 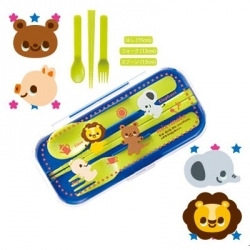 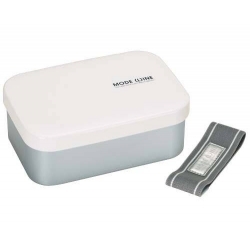 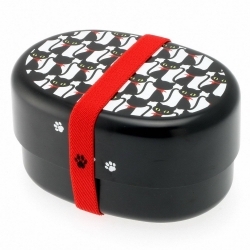 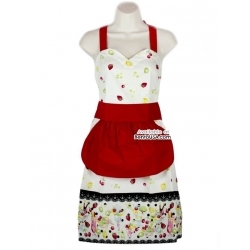 (Upper part 380ml, Lower Part 520 ml) The bento lunch box is 7.87 inches long, 4.13 inches high and 3.34 inches wide. 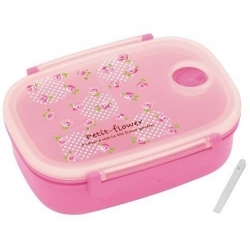 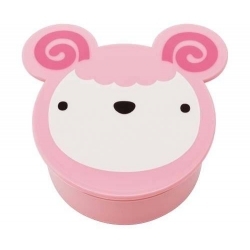 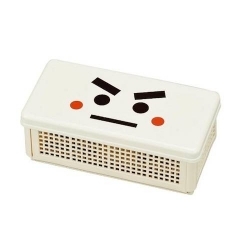 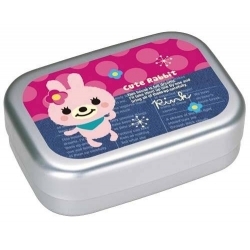 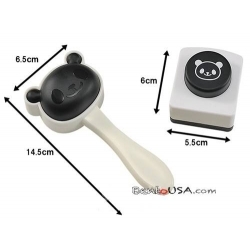 This is a great size for larger bento box.